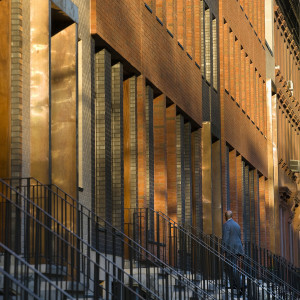 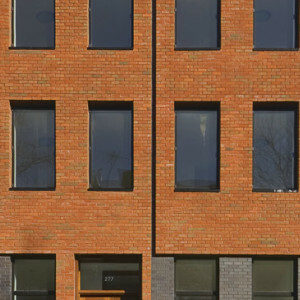 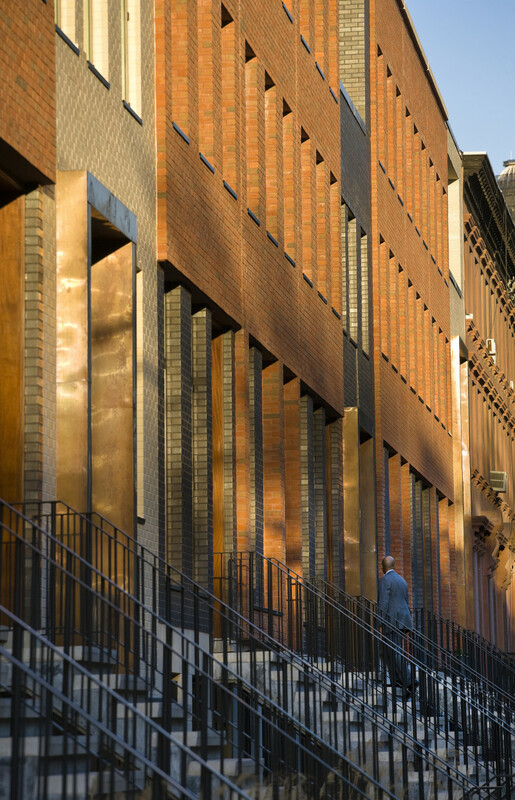 14 Townhouses is a row of award-winning modern townhouses designed by Rogers Marvel Architects for State Street in Boerum Hill, Brooklyn. 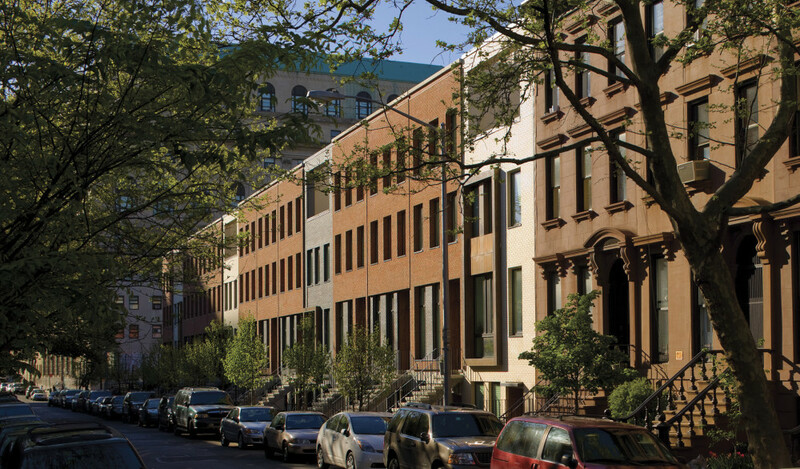 These individual homes, no one exactly alike, forms a rhythmic grouping along the block, referencing its historic character while creating a fresh, modern interpretation of the classic townhouse form. 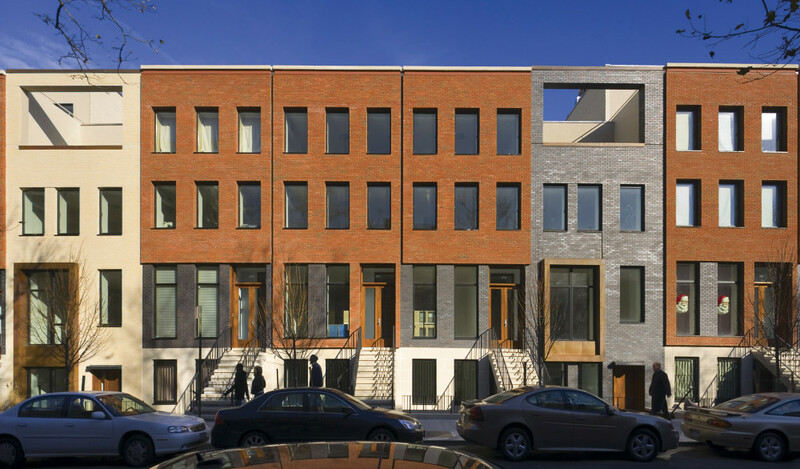 Location: 267-287 State Street | Brooklyn, N.Y. 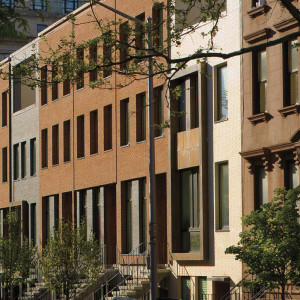 Partner: Francis Greenburger, Time Equities Inc.